Here at Byrdie HQ, we live our lives neck-deep in diet advice. Part of this is an occupational hazard—it’s our job to report on new nutrition research and trends. Another part of it is just a symptom of living in Los Angeles, the organic and gluten-free capital of the country. “First Food Fridays” at our West Hollywood office cater to every diet preference and restriction imaginable—vegan, alkaline, Paleo, kosher. Everyone has their own specific philosophy when it comes to nutrition, convinced that such-and-such book or documentary changed their lives and that they’ll never eat another way again. Because food is so personal, so culturally and spiritually tied, it makes sense that everyone would have different habits and beliefs. But food is also directly related to physical health—to vitality, to longevity. The stakes are very high. Thus, there’s an enormous amount of debate surrounding what the picture of a “healthy” diet looks like. People almost treat diets like political parties. And just like politics, if you disagree with someone on an issue, there’s going to be trouble. Sticking with the politics metaphor, there are generally two major schools of thought when it comes to nutrition: traditional, medical science and a holistic, natural approach. In other words, there’s the clinical nutritionist who’d prescribe you a diet plan at the doctor’s office, and there’s the private guru who’d customize an eating regimen according to your mind, body, and spirit. You could ask these two experts the same nutrition question and potentially get two completely different answers. So which one should you trust? Simply put, that’s a personal decision. Like much of the Byrdie team, I have a very particular diet—it’s plant-based and high-carb. I’m pretty conscious of my nutrition (I try to keep the hyper-processed food to a minimum and pack in the whole foods). But I know there are ways in which I could improve. Curious to compare advice from both sides of the nutritional spectrum, I decided to solicit insight from one traditional nutrition expert and one holistic one. Keep reading to find out how these two radically different experts reacted to the same diet. For this experiment, I contacted two trusted authorities. The first was my traditional expert: Dr. Shilpa Ravella, a gastroenterologist and nutrition specialist at Columbia University Medical Center. The second was my holistic expert: Dr. Carolyn Dean, the author of 30 wellness books, including The Complete Natural Medicine Guide to Women’s Health, and medical advisory board member at the Nutritional Magnesium Association. Here's how it worked: I kept an honest, detailed food diary for five workdays and sent it to each expert individually. I asked them to evaluate the diet's nutrition content, stating its strengths, weaknesses, and recommendations for improvement. From the start, I knew I was in for scrunity—people tend to have strong opinions about the vegan diet, especially one as carb-centric as mine. I had a sinking feeling that one expert would think my diet was right on track and the other would think I had it all wrong. I just wasn't quite sure who would think what. Here is the weeklong food diary I sent to each expert, which I think is a pretty accurate representation of how I typically eat. Overall, it’s a lot of fruit, a lot of bread, and the occasional after-work drink. Though non-alcoholic beverages aren’t explicitly listed in the log, I let each expert know that I drank unsweetened iced tea and water throughout each day of the week. Feedback from my traditional expert Ravella came in first, and I was relieved to find many strengths listed. “One overall strength of your diet is that it is plant-based,” she opened. “A plant-based, minimally processed diet is optimal for health, and plant foods can prevent or reverse many diseases including our top killers like heart disease and cancer.” Ravella praised my high intake of fiber and minimal consumption of processed food. “The processed foods you do choose are lower in sugar and salt content and largely free of the additives typically found in packaged foods,” she said. The absence of sugary sodas and fruit juice was also positive. Ravella gave a thumbs-up to the smoothies and avocados that serve as a staple in my diet. “Smoothies are a great way to get a variety of fruits and vegetables into your diet,” she said. “And one recent study published just last month by the Harvard School of Public Health found that eating more unsaturated fats was associated with lower death rates.” So opting for plant-based fats over butter and cream was another plus. Next, Dean’s responses arrived. When I opened her notes, I was slightly horrified, but unsurprised, to see that she did not list a single strength. Here they were—the politics of nutrition in action. According to Ravella, the biggest improvement I can make is to eat more leafy greens and cruciferous vegetables. “Leafy greens are the most nutrient-dense of all foods and low in calories," she said. Ravella also recommended consuming more legumes. “You do have some lentils in your diet, which is great, but beans are one of the most nutrient-dense carbohydrate sources, and they are cancer-protective,” she noted. Ravella suggested adding raw spinach to my smoothies and replacing my roasted potatoes with a curry or soup made with legumes and greens. She also advised that I choose whole grains instead of sourdough bread and that if I opt to drink, go for red wine. “Polyphenols, naturally occurring antioxidant compounds that promote microbial diversity, are found in fruits and vegetables as well as tea and red wine,” she said. By Dean’s measure, I am dangerously deficient in both protein and magnesium, which can lead to “fatigue, insomnia, headaches, muscle aches, and many other symptoms.” She did not approve of my fruit intake, either. “Unfortunately, plant-based diets promote the idea that fruit is friendly and you can eat all you like,” she said. “But it’s not good in the long run and [leads] to fatty liver, high triglycerides, and diabetes.” Whereas Ravella praised my smoothies, Dean condemned them. “Too much fructose sugar for the liver to handle,” she said. Dean also questioned the lentils in my diet, another food that Dr. Ravella praised. Dean cited them as an “incomplete protein,” writing, “At some time during the day, to complete the protein, a person should eat rice, corn, or wheat.” While I did eat a slice of whole grain bread with my lentils to make up the balance of essential amino acids, Dean challenged that choice, saying, “There is a growing concern about gluten bread being detrimental." Seeing as my choice to eat a plant-based diet is an ethical one, Greek yogurt and meat sticks are wholly off the table for me. Luckily, there are many plant-based protein sources I can consider instead. Though I was slightly shaken by how radically different my experts' feedback was, I wasn't surprised. I have had more than one holistic nutritionist criticize my diet for being too sugar-heavy, encouraging me to switch to something closer to Paleo. I was relieved that at least the traditional expert approved of my approach. To me, the discrepancies between them painted an accurate portrait of the traditional vs. holistic dichotomy. Though Ravella and Dean seemed to have opposite perspectives on my diet, I determined that it is possible to apply both of their advice in a way that works for me. Dean’s main point was that I needed more protein and magnesium; Ravella recommended more leafy greens and legumes. Moving forward, I can easily add plant-based protein supplements and organic spinach (which has 24 grams of magnesium per cup) to my smoothies. I can also incorporate more beans into my dinner choices. This way, both issues are addressed with my personal philosophy intact. Because ultimately, any feedback we receive, even feedback from top experts, is our own to accept or reject. That is to say, while I’m happy to experiment with broccoli soup, I’ll leave the meat sticks to someone else. What can I say? I'm a plant gal. In the end, I consider the experiment a success. After all, if one can receive two drastically different viewpoints and somehow find a happy balance, that feels like peak health to me. Shop some of my new diet favorites below! 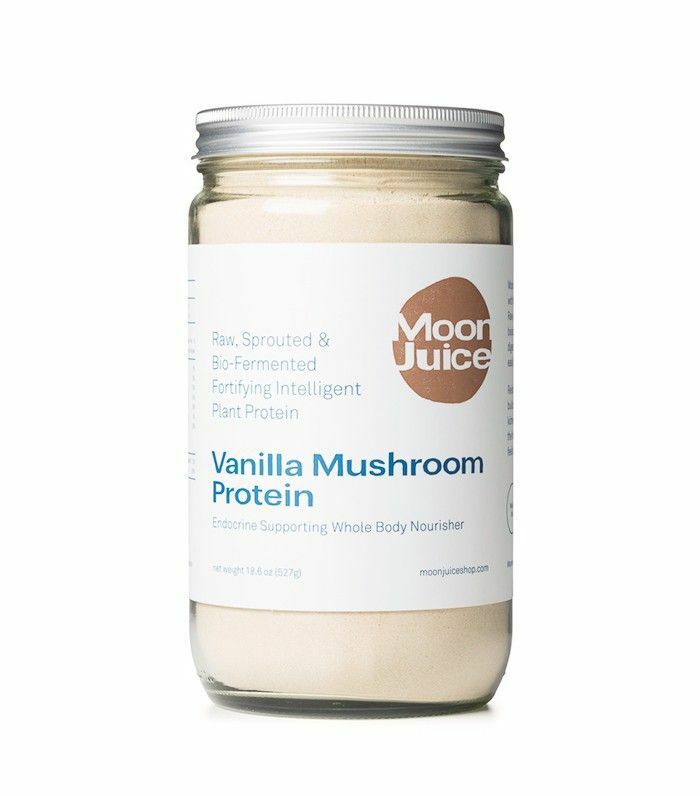 This plant-sourced protein supplement boosts the immune system, builds muscle, increases energy, and supports vital organ function—no animals harmed in the process. 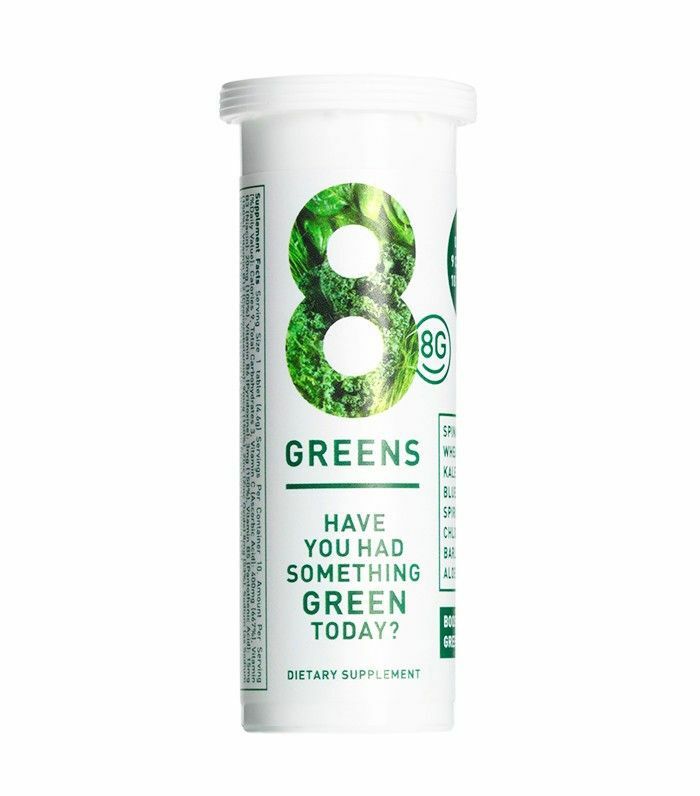 A Byrdie editor favorite, these handy little tablets contain more vitamins C, B5, B3, B6, and B12 than you could physically consume in a day otherwise. 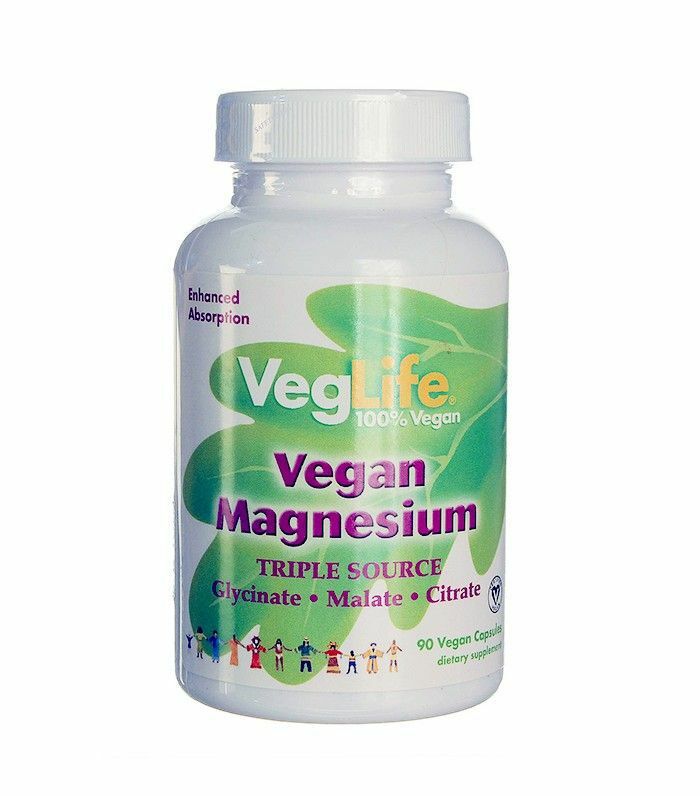 And if you’re still afraid of magnesium deficiency, here’s a great vegan source. What did you think of each expert’s feedback? Sound off in the comments below!